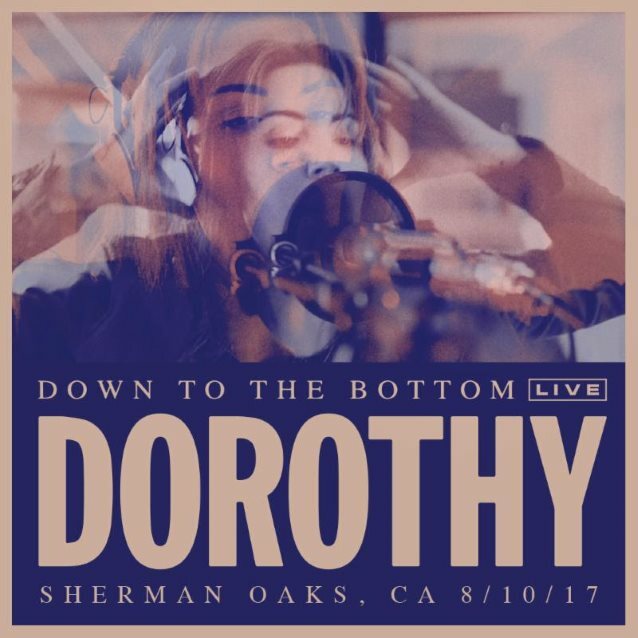 Los Angeles-based alternative rock band DOROTHY has released a live version of its single “Down To The Bottom”, recorded in-studio in one take. This live version offers a raw, intimate spin on the hard-hitting single. In the video, fans get to see “Down To The Bottom” showcased in real time from an in-studio performance; experiencing a band connecting sonically, emotionally and creatively. Lead vocalist Dorothy stated: “The band and I had a good time shooting ‘Down To The Bottom Live’ at Linda Perry‘s studio with Kii Arens and Kristin Burns. “I’m excited to share our daily habitat with our fans. They get an inside look as to how this next record is being made. “Down To The Bottom” was produced by Linda Perry, who also manages the band with her partner Kerry Brown through We Are Hear, an artist-empowering record label, publishing, and management company. The single was co-written by Dorothy Martin, Mark Jackson, Ian Scott and Linda Perry. The video is presented by Roc Nation and produced by We Are Hear. DOROTHY was built around Dorothy Martin, a singer who was born in Budapest but raised in San Diego. As a child, she started singing early and eventually made her way to Los Angeles. Her latest EP earned attention from LA Weekly and Rolling Stone — the latter named DOROTHY one of the best 50 Best New Artists of 2014. All the chatter was enough to earn the attention of Jay-Z‘s Roc Nation, which signed Dorothy in 2015. She recently put together a new high-level and powerful band, including guitarist Nick Maybury, guitarist Leroy Wulfmeier, bassist Eliot Lorango and drummer Jason Ganberg.